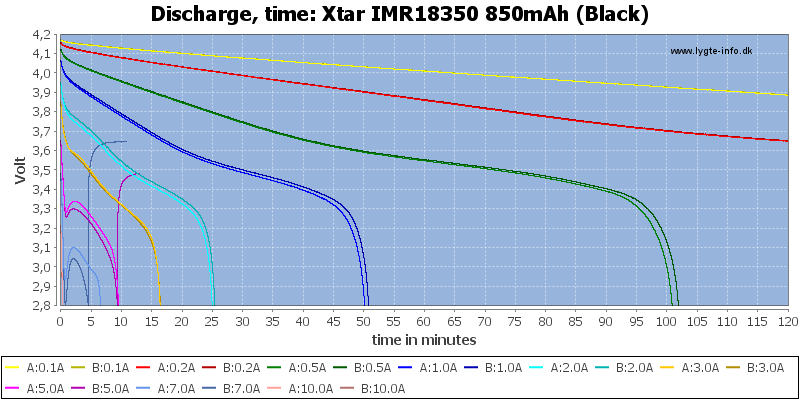 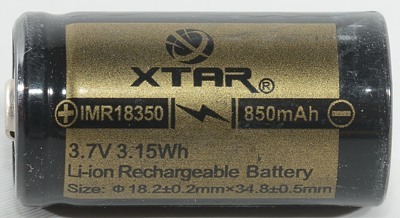 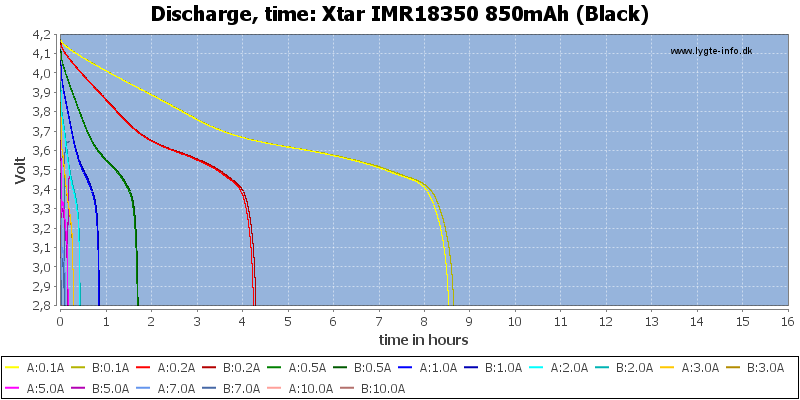 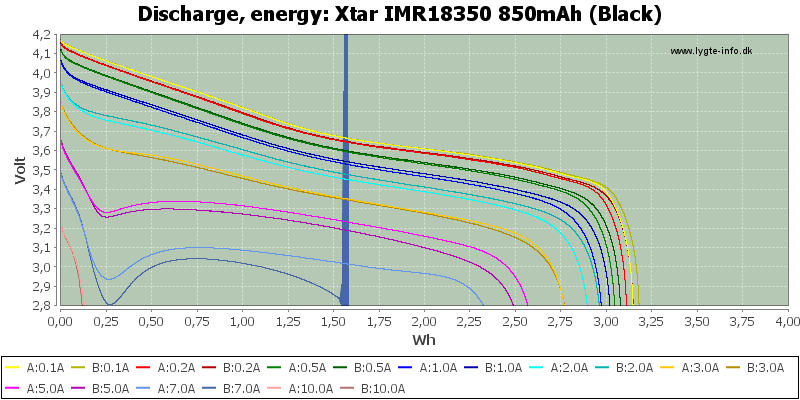 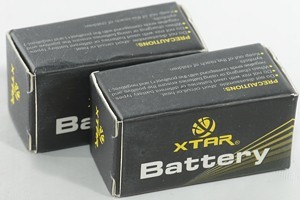 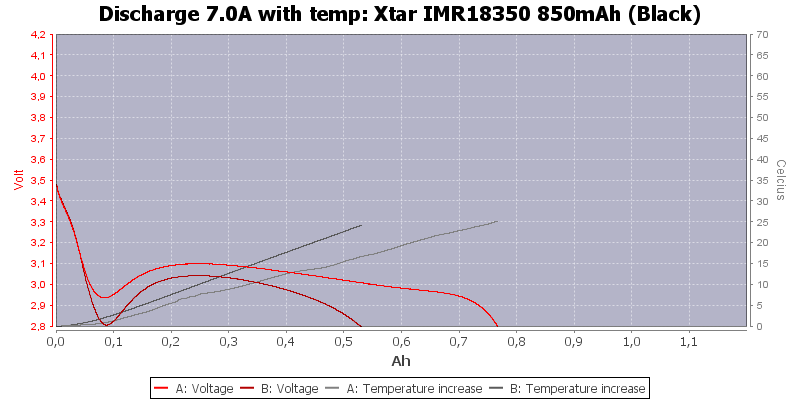 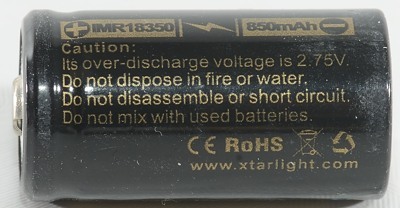 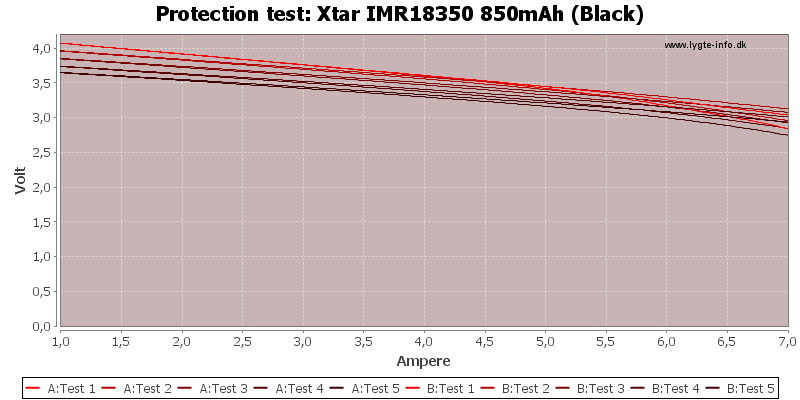 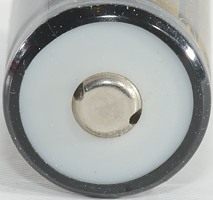 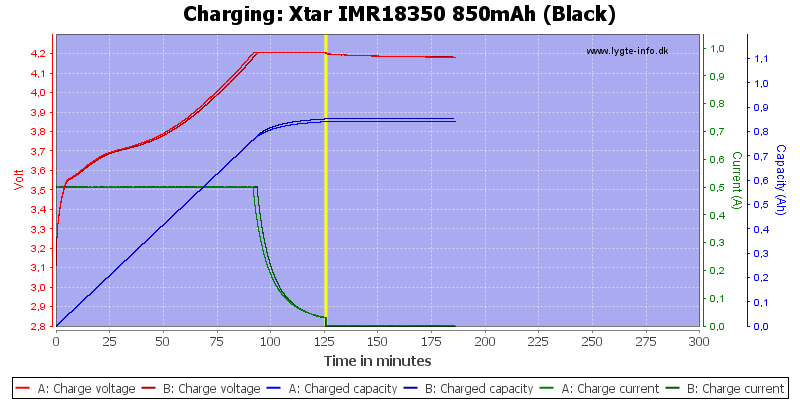 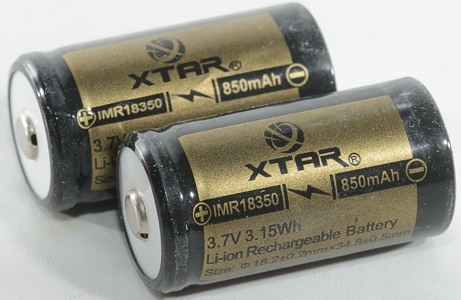 A 18350 high current cell (IMR usual means high current) from Xtar. 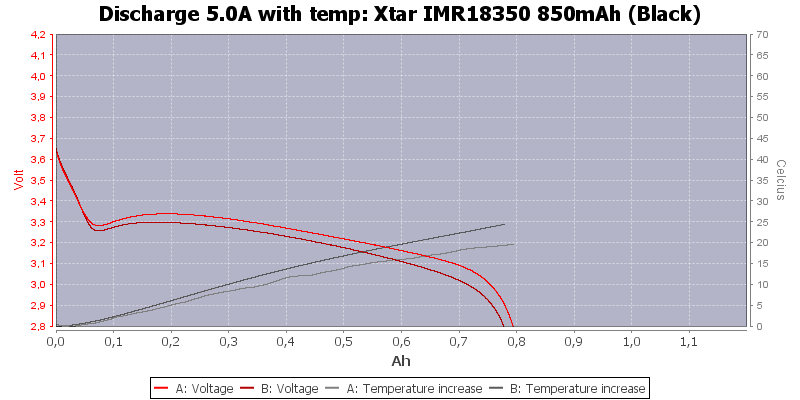 The tracking between the cells is acceptable, but they cannot deliver more than about 5A. 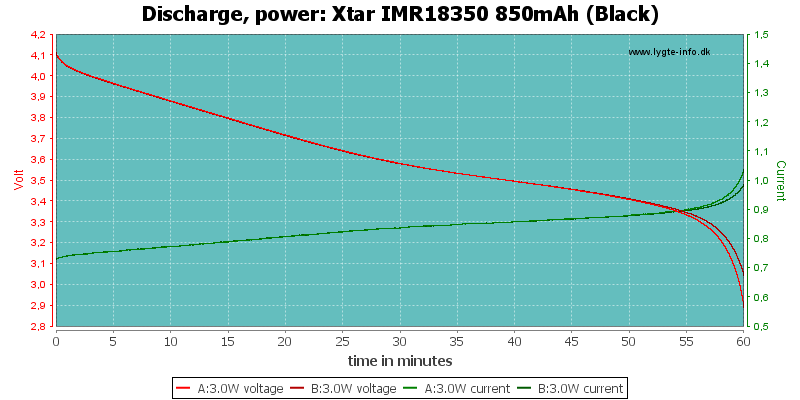 As is usual the case with the small cell the energy is used before I can register a hot cell. 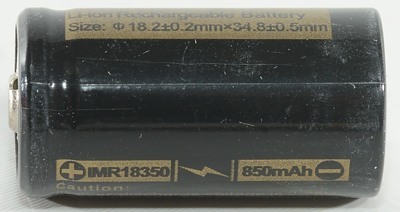 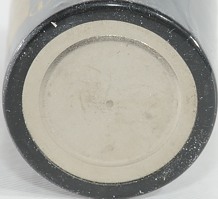 This battery looks good enough for a average 18350 cell, but it is not a high current cell.